The Rangatahi Youth Court, Alcohol and Other Drug Treatment Court, New Beginnings Court are all operating with compassion, sensitivity and in nimble and innovative ways, where multdisciplinary teams work together to achieve the very best outcome for those who come before their court and ensure that the justice systems acts as a positive intervention in people lives. The New Zealand Study Tour was an eye-opener, both professionally and personally. The first day comprised of a workshop, provided for by Massey University, that set the week up perfectly. We were then able to take these learnings and insights into the various courts that we saw. There were a number of moments that will always be etched into my memory such as being welcomed onto the Marae at the Rangatahi Court, or the Haka being performed in the AODTC following a graduation. These were instances of a greater sense of community and connectedness that I have never viewed in a mainstream adversarial courting system. These experiences demonstrated the effectiveness of therapeutic justice and I wholeheartedly now believe that this approach is the most effective form of reducing recidivism in the criminal justice system. With regards to my legal career, I have always been inclined towards corporate law rather than criminal law. However, after my above experiences and seeing the therapeutic effect of the criminal justice system I found each case and participant intriguing and unique. I have consequently realised that there is such diversity within the fields of law and its imperative to be open minded and dynamic in changing situations. My decision to undertake this study tour has been a major catalyst in my maturation and personal growth. I have become a more confident individual with much more effective communicative and interpersonal skills. These skills will not only carry throughout the rest of my JD, but through my legal career as well. The biggest impression for me was the contrast between Australia and New Zealand in regards to restorative justice. 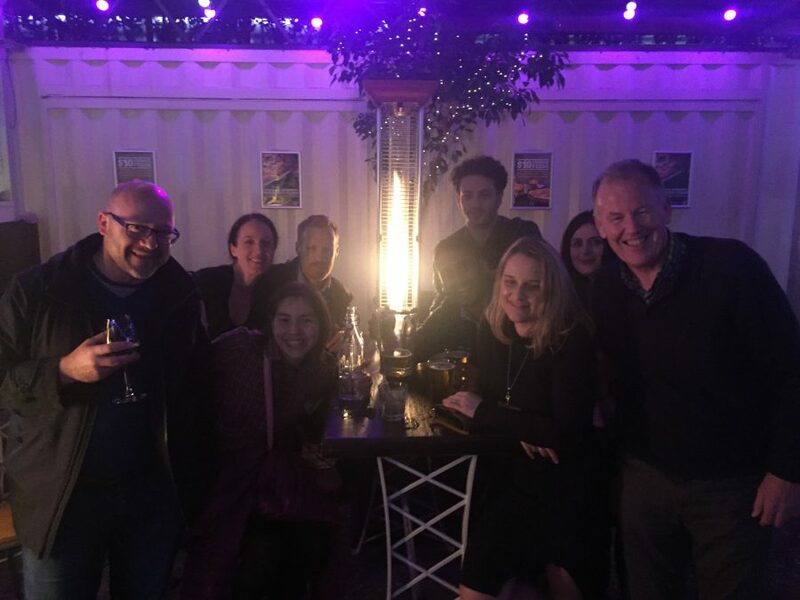 We were fortunate to witness a day in the Alcohol and other Substances Court that follows a therapeutic jurisprudence model. Within this model, the community is called upon to assist in rehabilitating individuals facing jail time for their offences which are drug and alcohol-related. In these courts each offender, or more aptly defined as ‘participant’ has support from; social workers, lawyers, the police force, caseworkers and the judge. The judge sits with everyone around a bench for the majority of the morning to discuss each participant. I was amazed at how thorough everyone was when conversing about each participant, they were all known on first name basis and a profile picture was handed around, emphasizing the humanistic approach. After lunch, the participant is required to talk at the lectern about their strengths and struggles. As the participant is interwoven into the process it facilitates a greater sentiment of connection and engagement. I think it is a fantastic model, where each offender has a face and a voice, with a history and a future, instead of a file number. 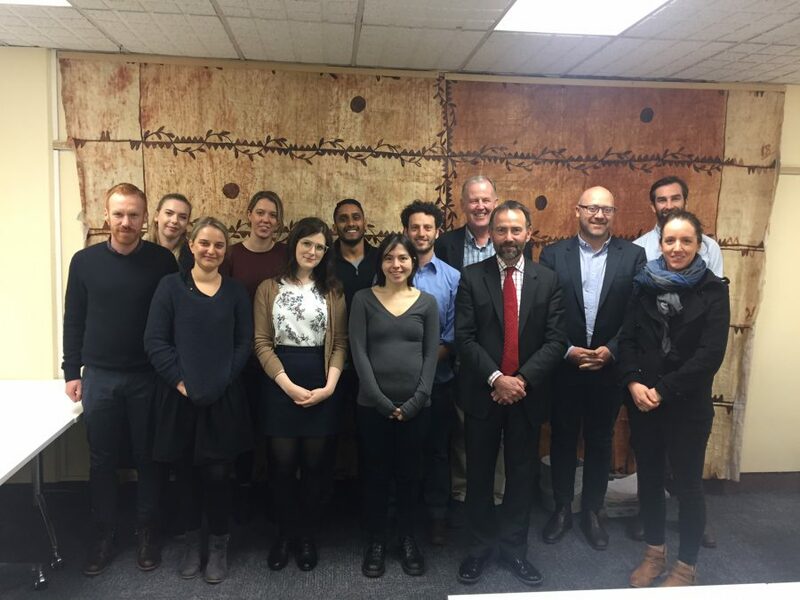 For anyone that has ever sat in a courtroom and wondered if there is a better way of dealing with people that come in to contact with the justice system, then the CIJ Study Tour is your answer. 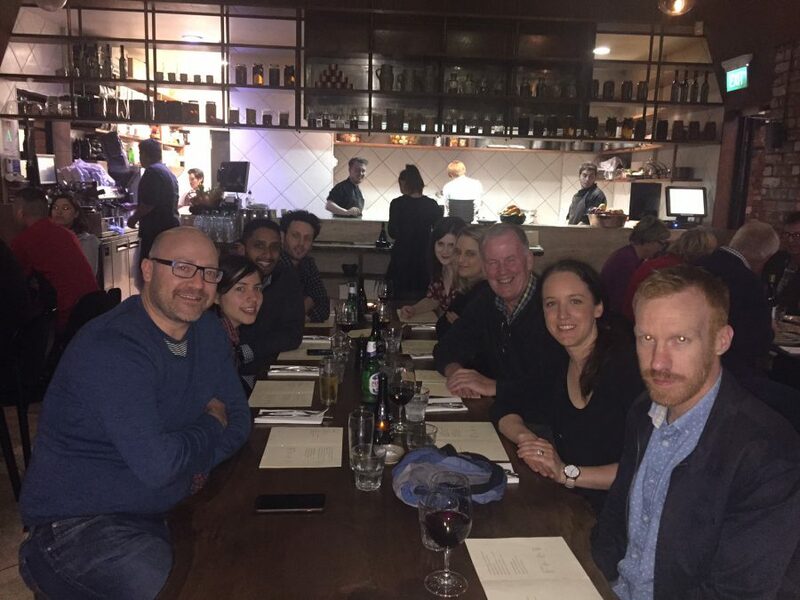 Five days in New Zealand visiting specialist courts that practice restorative justice has shown me that there is a better way; one that doesn’t involve an increase in prison units, police numbers or increased sentencing. Instead, I saw that courtrooms can be a place where people grow, where people confront the challenges of their drug dependancy and work through them with the support of the court. I saw a courtroom where young Maori men and women are connected to their culture and their language. I saw a courtroom where Police prosecutors spoke about their ‘pride’ in the progress that certain young offenders had made whilst in the court programs. I saw a courtroom where adversarial posturing didn’t exist, but was replaced with a collective will to combat the factors that contribute to re-offending – be that homelessness, drug use, alcohol addiction or otherwise. In short, I saw a courtroom where peoples’ lives are made better, a courtroom that I believe in. The highlight of the tour was the opportunity to observe the Rangatahi Youth Court at Munurewa. The Court is located on an impressive marae – a traditional Māori venue. The court assists young offenders to gain a sense of their cultural identity while holding them accountable for their actions and addressing the underlying causes of their actions. Before the formal part of the court day started, everyone involved shared their pepehā (a traditional way of greeting others that involves sharing your story) and have the opportunity to learn more about each other over morning tea – this is not the adversarial system we learn about in the classroom! It was inspiring to see community elders, social workers, police officers, lawyers, the judge and others all working together to help the offenders in a way that really works. The Court offers a type of comprehensive justice that I didn’t realise existed. It is a tough but compassionate system that challenges and supports all involved. I feel privileged to have been able to see the things I saw on the tour and to have met some amazing people who share the same passion for innovation and therapeutic justice as I do. The Court of New Beginnings (aka the homelessness court), had such a spirit of family that it was impossible not to get swept up in feeling at home. However, anyone that began to feel too comfortable in the courtroom was swiftly brought into line by an intimidating court officer endearingly referred to as Wheae (mother). Wheae Michelle embodied all that the court was trying to achieve. While demanding respect for the court and the process, she demonstrated the kind of genuine concern for the participants that usually only comes from one’s own family. At one point, she stood next to a man coming before the court, patting his back throughout his appearance and giving him a warm hug once it was over. It was incredibly inspiring to witness the passion and dedication of Wheae Michelle, and all those who worked in the court, and to see the difference that their belief made to people who felt like much of the community had turned their back on them. At the Alcohol and Other Drug Treatment Court (AODTC), I was struck by how time- and resource-intensive the process appeared to be: from the time the judge spent with each person, to the services the offenders were engaged with, to the team of specialists who clearly knew each case and offender intimately. So much tailored support and assistance is available to each offender – and yet, there is still a sound economic case for approaching justice in this way. For me, it really throws into sharp relief just how much the traditional, adversarial approach falls short. Nobody advantages from a system that spends more for worse outcomes. Punitive approaches may be politically popular, but I think any member of the community who spent a day in the AODT court – or any of the specialist courts we visited on the tour – would be given reason to think twice about how the justice system treats offenders. 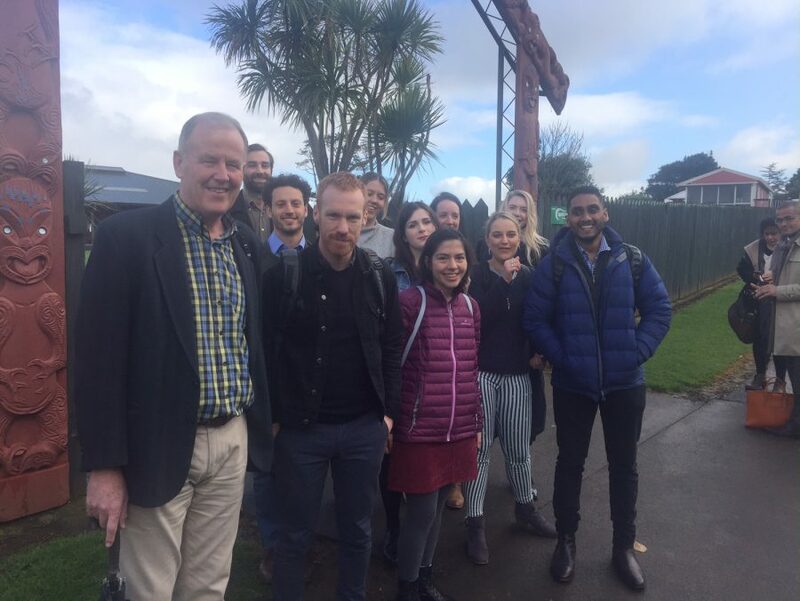 The restorative justice courts we visited in New Zealand turned my understanding of the legal status quo on its head. These courts utilise the law as a means of catching people, addressing the causes of their offending and supporting them to reintegrate into society. In this way, the role of lawyers and police is substantially altered, as ‘winning’ the case takes a back seat to actually considering what outcome would be best for the individual. While in New Zealand, we sat in on the Alcohol and Other Drug Treatment Court (AODTC). This was a really moving experience, and although throughout the day were heard stories of people at the lowest points in their lives, I left the Court feeling empowered. At the AODTC we saw defence counsel make submissions requesting extended sentences for their clients so as to effectively achieve rehabilitation, and police prosecution applaud the success of individuals going through the court process. It was bizarre to see people who were likely in and out of the justice system for the majority of their lives walk into court and feel a sense of pride in themselves. In restorative justice, the law makes sense; the individual is put at the center, and factors that exacerbate recidivism are brought to the fore. On this trip I saw the potential that the law has when it shifts from its anarchistic punitive approach to one which recognises the complexity of life and of offending. Through this experience, I developed a real sense for the kind of lawyer I want to become, and have come back inspired to push for change in our own system. The JD Study Tour to New Zealand was an amazing experience. I think the most lasting impression I have of the trip was our day at Te Whare Whakapiki Wairua, the Alcohol and Other Drug Treatment (AODT) Court. It was uplifting to see the care and respect Judge Lisa Tremewan showed for the people who were in the AODT Court system, and how positively the vast majority had responded to the program. We were lucky enough to see a ‘graduation’ from the court program, and I think the graduate summed up the success of the system when he said he was glad to have been arrested, because the AODT Court program had given him the opportunity and support to overcome his drug addiction and turn his life around. The Alcohol and Other Drug Court was probably the highlight of the trip. The approach of this court was unlike anything I have ever seen. The Judge was considered and compassionate towards the participants. It was quite remarkable to see how the group of stakeholders rallied around the participants in the program, even if the participants were not doing too well. Also, being able to witness a participant graduate and receive the recovery haka was incredible. The tour is a great opportunity to really see how Restorative Justice can work in practice. I would absolutely recommend it to students. 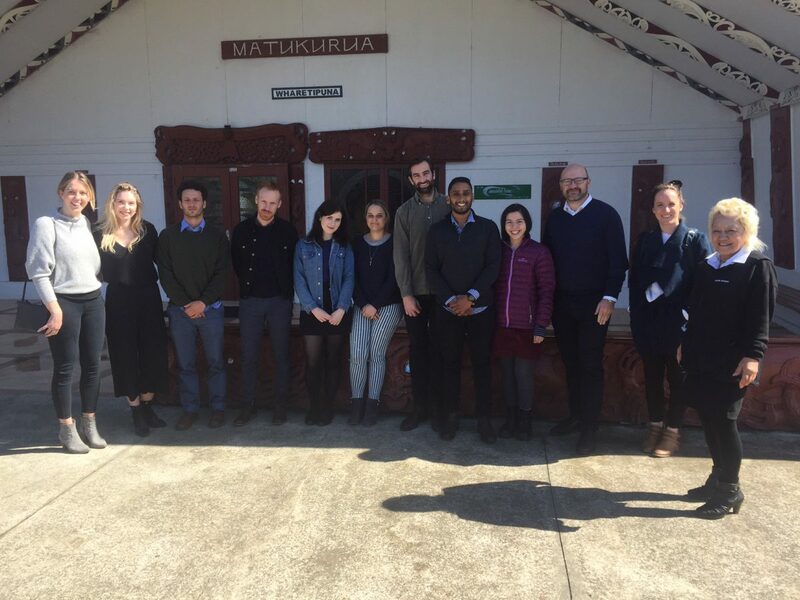 We were embraced by the New Zealanders whilst we were there and were given many opportunities to talk with stakeholders, so we were really placed in the best possible position to learn about best practice in this space.